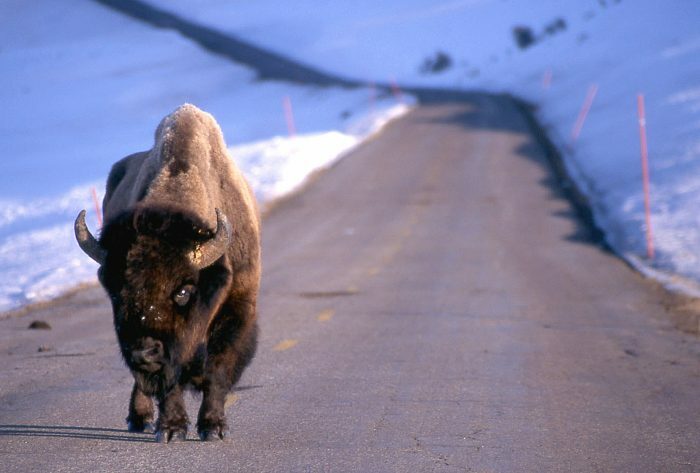 Yellowstone National Park’s bison seem to be redefining how they use the park’s landscape, but why they are changing their movements is unclear. For many years the park has had two fairly distinct herds, one that hangs out in the northern portion of the park and the other that lives in the central area. In the winter the central herd migrates west to around West Yellowstone and the northern herd moves north into the Gardiner Basin. Although there have likely always been some central animals that moved north, this past year a whole bunch seem to have relocated. That’s made for a smaller herd in the central region and reinforced the northern herd, which is larger and which the park has been trying to trim through hunts and shipment of the animals to slaughter. To read more about the animals’ changing dynamics, check out my story in Montana Untamed at http://bgz.tt/nhlsb.